Self-driving allows for time to enjoy the diverse landscapes and culture of the Limpopo province. 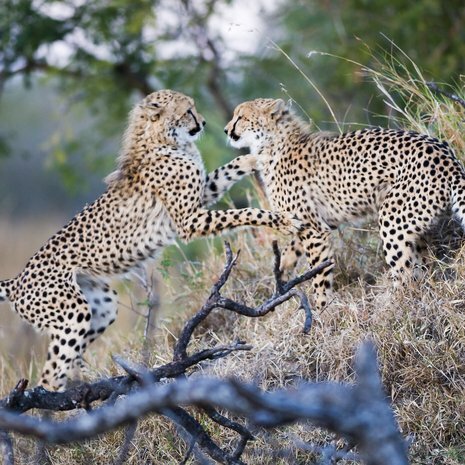 The wildlife on this tour is exceptional and includes 3 nights in Botswana’s dramatic Mashatu Game Reserve. Transfer back to your car at Pont Drift. Cross theborder back into South Africa and drive to the wildnorthern part of Kruger National Park. Stay 2 nightsat Pafuri Camp. Activities include wildlife drives,walking safaris, mountain hikes, visits to stone agesites and to contemporary Makuleke villages.